I threw this together with whatever I had in my fridge and it turned out yummy! 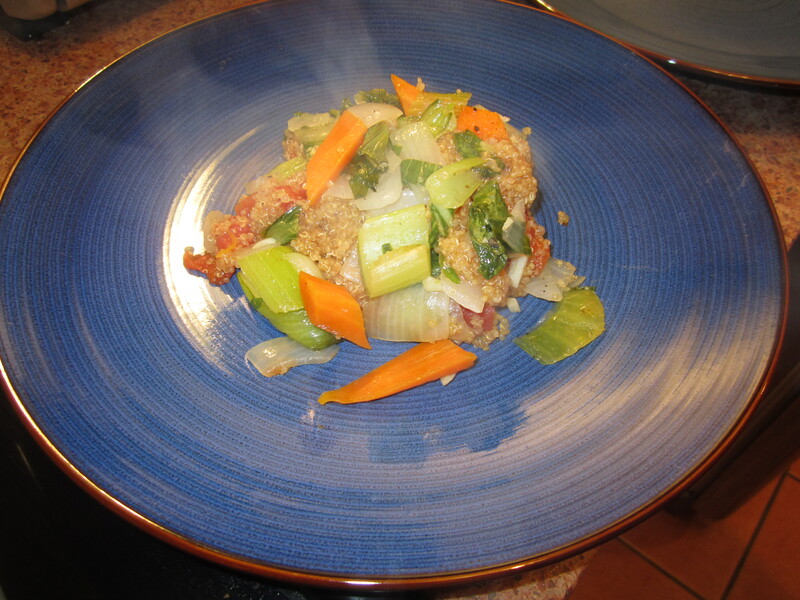 1) Cook quinoa according to directions using veggie broth, when finished stir in tomatoes. 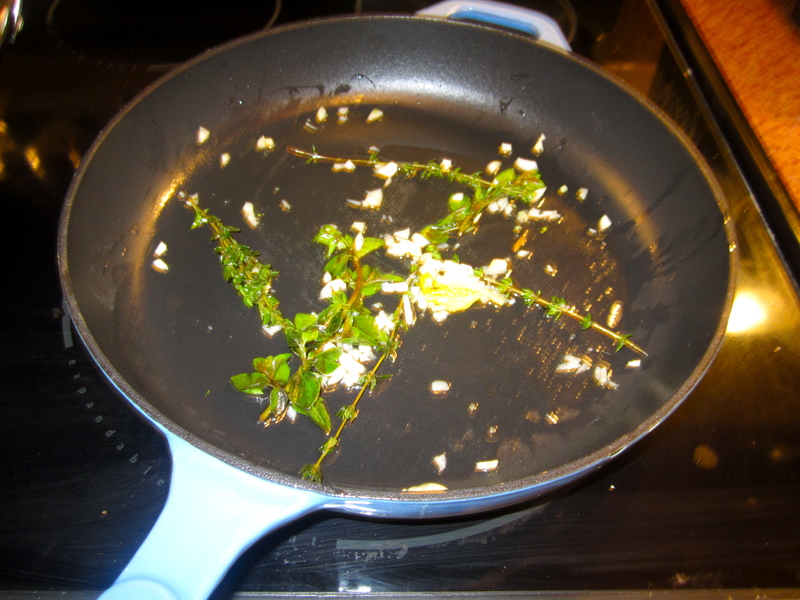 2) Heat olive oil, sauté garlic with thyme and oregano on low heat for 15-20 minutes to let flavors infuse. 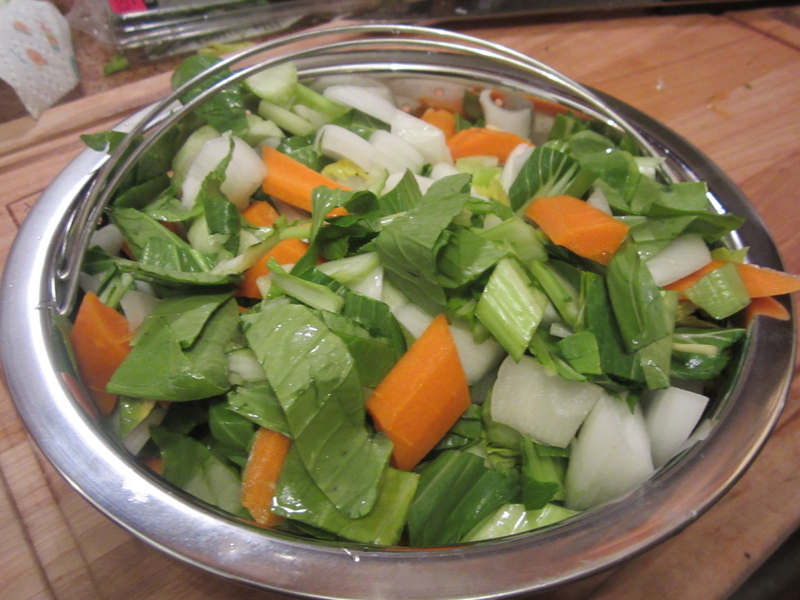 3) Add the celery, bok choy and carrots to the garlic and herbs and cook over medium heat for about 15 minutes or until vegetable are softening. 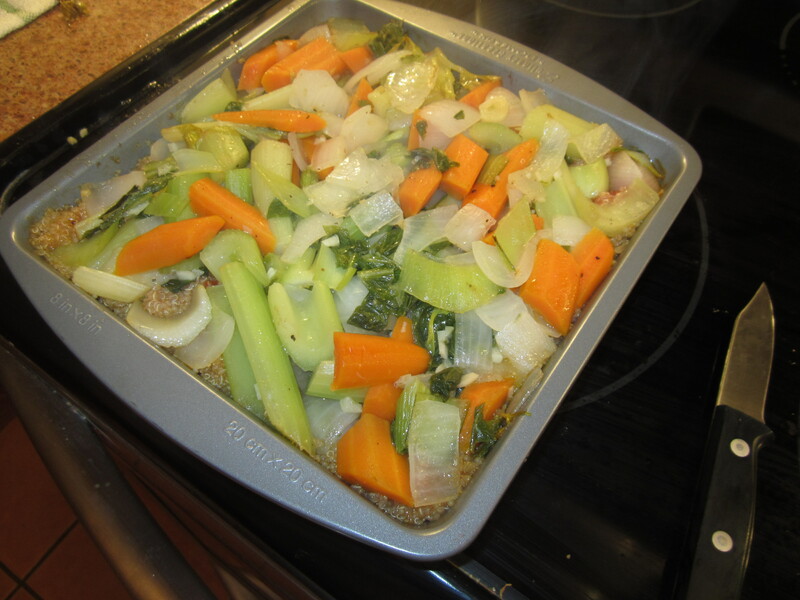 4) In a baking dish put the quinoa with the tomatoes in first, add the veggies on top and bake at 400 with foil over it for about 10 minutes. Let cool and enjoy!